Should We Eliminate Fats From Our Diets Altogether? Could Losing Weight Help You Avoid Cancer? Are There Concerns with Eating Too Much Monounsaturated Fat? Does Coconut Oil Live Up to the Hype? Are you on the coconut oil bandwagon? According to its fans, you can use coconut oil for pretty much everything: deodorant, makeup remover, sunscreen, bug repellent — the list goes on. But if you're thinking of adding coconut oil to your diet, you should find out if it's really all that it's cracked up to be. “Foods like butter, chicken skin, meats and ice cream all have saturated fat. That doesn’t mean you should avoid them. 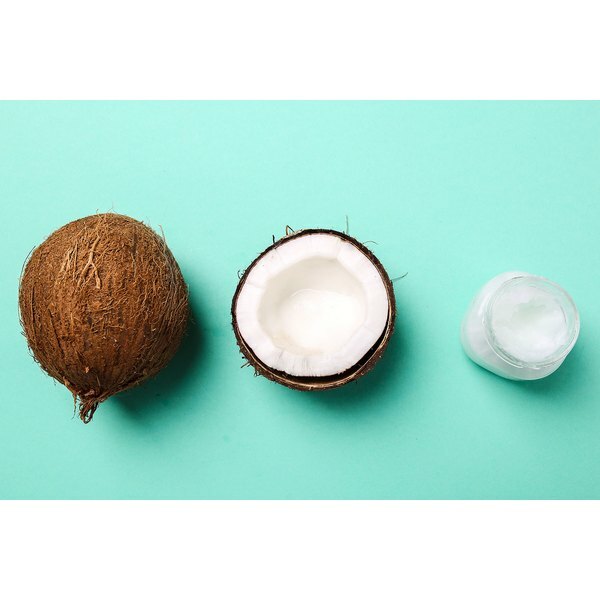 A recent paper in the Journal of the Academy of Nutrition and Dietetics looked at how two saturated fats in coconut oil -- caprylic and capric medium-chain fats -- affect weight, belly fat and cholesterol. While the research shows that coconut oil may help you lose weight and might even be OK for heart health, there are many reasons to be cautious. For example, some studies showed these fats were satiating (good) or raised cholesterol (not so good), while others showed no effect. In addition, prominent health organizations continue to advise people to cut back on saturated fat. The findings suggest that replacing long-chain fats (LCT) with medium-chain fats (MCT) -- for example, replacing olive oil with coconut oil -- may lead to VERY modest weight loss without raising cholesterol. But we’re talking about a mere pound of weight and a centimeter from the waist and hips over two to three months. The theory is that coconut oil's fats give a modest boost to metabolism, fat burning and satiety and have fewer calories than other types of fats. Should MCTs Be Used for Weight Loss? Even with the very small weight loss seen in the review paper, people may still be tempted to try anything that promises an advantage. But Marissa Beck, M.S., RD, Seattle-based registered dietitian working in corporate wellness and sports performance, says she wouldn’t recommend MCTs for her generally healthy clients who want to lose weight. When new and exciting research comes out, it’s essential to put it into context. While this study on MCTs shows there’s more to learn about fats, what we do know is that we already have a robust body of science backing recommendations for what kinds of fats to eat. The Dietary Guidelines for Americans, American Heart Association, World Health Organization and the Food and Agriculture Organization, among others, recommend replacing saturated fat with unsaturated fat. “We need fat -- it is considered an essential nutrient,” says Toby Amidor, M.S., RD national nutrition expert and author of "The Greek Yogurt Kitchen: More Than 130 Delicious, Healthy Recipes for Every Meal of the Day." Note that MCTs don’t provide essential fatty acids, so they should never be the only source of dietary fat. Don’t go throwing out your olive oil and avocados in favor of coconut oil just yet. These preliminary findings fly in the face of widely accepted evidence-based recommendations for pretty small returns when it comes to weight loss. Remember, there are tried-and-true ways to lose weight by making changes to your diet (more veggies, less chips and soda) and exercise routine (do it daily). The big question remains: What should you eat? After balancing the weight of the evidence for unsaturated versus MCT saturated fats, if you adore the taste of coconut fat, use it responsibly: Incorporate a moderate amount of coconut oil into an overall healthful plant-based diet, with most of your fat coming from foods that provide heart-healthy unsaturated fats. *Most of our dietary fat comes from long-chain fats, which can be saturated or unsaturated. Here, only foods contributing significant amounts of healthful unsaturated fats are highlighted. Mumme K, Stonehouse W. Effects of medium-chain triglycerides on weight loss and body composition: a meta-analysis of randomized controlled trials. J Acad Nutr Diet. 2015 Feb;115(2):249-63. Eckel RH, et al. 2013 AHA/ACC guideline on lifestyle management to reduce cardiovascular risk: A report of the American College of Cardiology/American Heart Association task force on practice guidelines. Circulation. 2013. How Does Being a Vegetarian Make You Lose Weight? Mariah Carey Eats Only These Two Foods to Lose Weight! ?